My cookbook cup runneth over. Truth is, I’ve been collecting cookbooks like some women collect shoes or iPhone apps. So call me surprised when a gimmicky-looking cookbook caught my eye before Christmas. 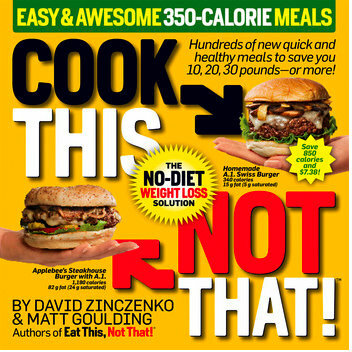 The cover of Cook This, Not That! was jarring in that late-night-TV too-loud way. “The No-Diet Weight Loss Solution,” it claimed. “Easy and Awesome 350-Calorie Meals,” it shouted. “This is a book for people who love to eat,” it promised. But upon inspection, the recipes looked good, really good, with appealing titles, affordable ingredients, generous portion sizes and easy techniques perfect for busy families. Most of all, I was impressed by how many practical tips are crammed into 300+ pages, perfect for young cooks responsible for feeding themselves for the first time. 4 Reasons to Spend More Time in the Kitchen Than in the Gym Ha! My first live version of this column actually read, "Spend More Time in the Kitchen, THEN in the Gym." My sister caught the typo but – pretty apt, eh? Salad Matrix It's a great salad formula, choose a lettuce, choose a protein, choose vegetables and fruits, choose add-ons like beans and finally choose a homemade dressing. The World’s Best Asian Condiments These can really bump the flavor profile of a dish, think kimchi, hoisin (though the commercial bottles of hoisin contain a lot of sugar), curry paste, sriracha, fish sauce, rice wine vinegar and chili-garlic sauce. So Cook This, Not That! is a real cookbook, and a teaching cookbook to boot. I also appreciate the credible premise: how to lose weight eating healthy food, no dieting required. Each recipe aims for about 350 calories. That’s more calories than most Kitchen Parade recipes but then again, the portion sizes are larger. More importantly, Cook This, Not That! compares its recipes not to home cooking but to similar restaurant recipes, both in calories and in cost. The comparisons are alone are an eye-popping education. So yes, I love this cookbook despite watching other "food people" sniff in condescension. At Christmas, my sister wanted to nab my copy so I sent her one and now we’re both cooking from it. Neither one of us qualify as "busy families" or "young cooks" anymore. But for both of us, this cookbook gets high marks for inspiring easy every-day home-cooked meals. In my crowded bookshelf, I’m making room for Cook This, Not That!. It'd already been a loooong day one day last week when I started to cook supper, worn down but feeling pretty smug that my Easy Margarita Chicken supper plan would use up chicken breasts from the freezer and leftover bell pepper and salsa from the fridge. Luckily, I found some frozen cod in the freezer and my husband had made a great salsa verde on the weekend. I added frozen fire-roasted corn and some roasted mushrooms to the skillet, topped it with the still-frozen cod, the salsa verde and a little cheese, then threw the whole thing in the oven. Wow. "Easy Green Margarita Cod" was DELISH! Add "adaptability" to this recipe, truly. PEPPERS & BEANS In a large skillet, cook the onion and peppers in a splash of water, stirring occasionally, until the vegetables are cooked through but still crisp. (A non-stick skillet works best here, otherwise use a little oil to prevent sticking.) Add the beans, cumin and lime juice and heat through. Season to taste. Transfer the mixture to another dish, keep warm. CHICKEN If needed, cut the chicken breasts into individual servings. Between two pieces of waxed paper, pound the thickest part of the breast until each piece is roughly the same thickness throughout. (Why? The breasts will cook more evenly when they’re the same thickness.) Season with salt and pepper. Spray the skillet with cooking spray, heat on medium high. Add the chicken pieces (they should sizzle) and let cook, without moving, for 3 to 4 minutes until a crisp crust forms. With tongs, turn the pieces over and cook for another 3 to 4 minutes. Spoon the Peppers & Beans around the chicken pieces, then cover the chicken with salsa and cheese. Bake for 5 minutes or until the cheese is bubbly. TO SERVE, sprinkle lime zest over top and serve. ALANNA's TIPS Chicken breasts are Hooters huge these days, often more than a pound a piece. So if size matters, get out your scale and cut the meat down to serving size, I usually allow a quarter pound (about 110g) uncooked chicken per serving. Big eaters will eat two of these. To get supper on the table even faster, use two skillets, one for the Peppers & Beans, another for the Chicken and cook them simultaneously. NUTRITION INFORMATION Per Serving: 247 Calories; 6g Tot Fat; 3g Sat Fat; 80mg Cholesterol; 472mg Sodium; 13g Carb; 4g Fiber; 3g Sugar; 33g Protein. 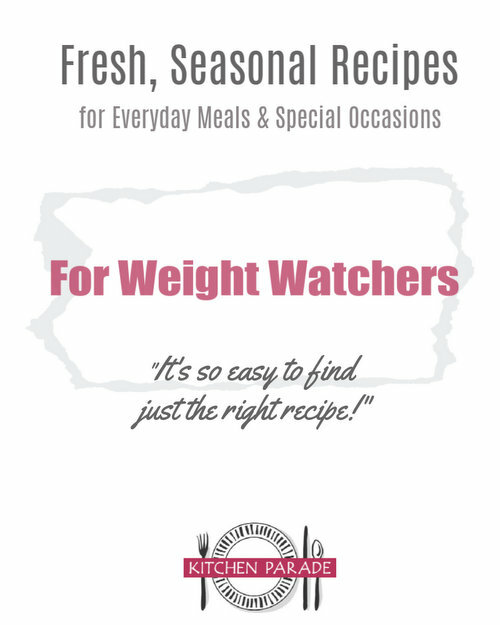 WEIGHT WATCHERS POINTS Old Points 5 & PointsPlus 6 & SmartPoints 6 & Freestyle 2 This recipe has been "Alanna-sized". Cook This, Not That! compares its copycat Margarita Chicken recipe to TGI Friday’s Sizzling Chicken & Cheese which racks up 1200 calories a serving and costs $11.49. YIKES. Adapted from Cook This, Not That! Easy & Awesome 350-Calorie Meals [My Disclosure Promise]. I especially like the adaptability of this cookbook’s recipes. For example, the original recipe called for a half can of beans for four people which seemed just silly to me, no vegetables, six-ounce chicken breasts, a cup of salsa and a cup of cheese. But the inspiration for my own recipe? Definitely Cook This, Not That!. 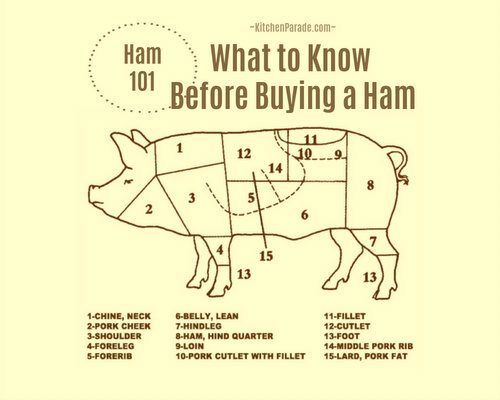 FYI there seems to be more than one Cook This, Not That! edition. Mine has burgers on the front cover and it came from Sam's Club for about $12 in early December. It can also be purchased at Amazon. Alanna, this sounds WONDERFUL! I especially love the bright flavors when it's cold and snowy outside. YES the chicken breasts are HUGE! I usually buy split breasts and bone them. I get the tenders, plus bones and skin for stock. Then I take the still huge breast portions and make nice, even cutlets - and the leftover pieces, I cut up for either soups and stews or sometimes I slice them for "chicken fingers." This sounds wonderful! The beans especially, thanks! For an even quicker version of this delicious meal (am I allowed a product reference? I have no affiliation) try using a can or two of Glory Foods Sensibly Seasoned/Lower Sodium Black Beans which already incorporate the pepper and onion - just add the cumin and lime. Thanks for not only the recipe, but the great book review as well. I was one of those that totally poo-pooed the book at first sight. I'm really glad to know I shouldn't judge a book by it's cover (though really...how have I not learned that by now?!) Thanks!! Hi Teresa ~ Thanks for visiting, I do hope you’ll become a regular reader! FYI Kitchen Parade’s two-column format doesn’t lend itself easily to usual print functions. Readers tell me they copy recipes (and any tips they want) into Word documents. I also have great luck saving recipes in Evernote, the free version, the plain non-recipe version, and printing from there. I actually love Evernote, it’s where I store all the recipes I have in my head to make, since it synchs with my phone, at the grocery store, I can check the ingredient list. And it sorts by tags, etc. PS At A Veggie Venture, you’ll find a “printer friendly recipe” button below all recipes for the last three or four years plus the most popular recipes from prior years. Thanks for asking! Made this last night, it was excellent! I had it for breakfast.